There are just a few spaces left on our Christmas Shopping Trip to Birmingham – Saturday 19 November 2016 – £10 for the bus. Family and friends welcome. 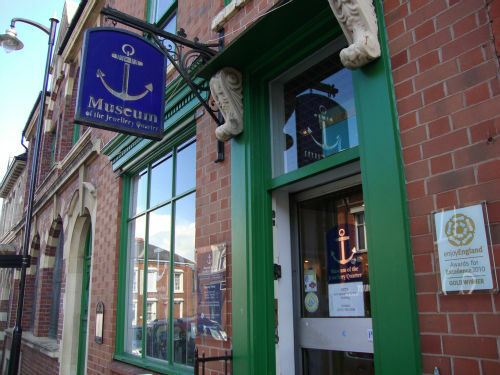 On arrival in Birmingham there will be an optional, WI exclusive, morning tour of the Jewellery Quarter museum (£10 to include tea and cake). Maybe book a matinee in the afternoon or start your Christmas shopping? Bus will be at the market entrance on Northampton Road, Market Harborough at 8.30 am ready for a 9 am departure. Coach will leave Birmingham at 6 pm. Christmas Shopping Trip to Birmingham – Saturday 19 November 2016 – £10 for the bus. On arrival in Birmingham there will be an optional, WI exclusive, morning tour of the Jewellery Quarter museum (£7 to include tea and cake). Maybe book a matinee in the afternoon or start your Christmas shopping? Bus will be at the market entrance on Northampton Road, Market Harborough at 8.30 am ready for a 9 am departure. Coach will leave Birmingham at 6 pm. Bookings taken from the June meeting onwards. Monthly meeting tonight – see you there! Tonight’s speaker is Sam, single mum to one amazing son, business founder at Iridescence Jewellery, mentor and motivational speaker. 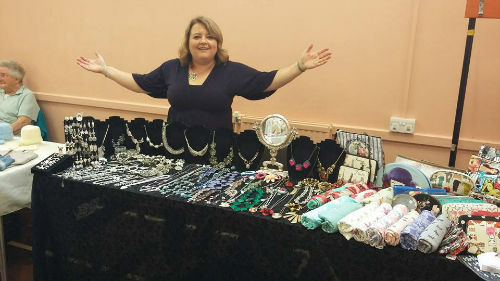 Passions are – living life to its fullest, quirky jewellery and accessories, self development, people and good coffee. Sparkly sale included. You can also book your places for several MHWI social events coming up in the next few weeks: 2 events during NFWI Sports Week, 11 to 18 September 2016: Pilates on Wednesday evening and Hoola Hoop on Friday evening. On Thursday evening, 22 September there’s the cookery demonstration and meal at Bridge 67 and on Saturday 19 November a day trip to Birmingham. Have you secured your place yet? Bookings and payment needed for both events at this Wednesday’s meeting, please. If you can’t make the monthly meeting to do so, please email: marketharboroughwi@gmail.com. Payment can be by bank transfer. Bridge 67 Cookery School – or Bridge 67 Facebook – Thursday 22 September 2016, 7 pm/7.30 pm start (tbc)- cookery demonstration, 2 course dinner and wine £35. 22 places. Christmas Shopping Trip to Birmingham – Saturday 19 November 2016 – £10 for the bus. On arrival in Birmingham there will be an optional, WI exclusive, morning tour of the Jewellery Quarter museum (£7 to include tea and cake). Maybe book a matinee in the afternoon or start your Christmas shopping? Bus will be leaving Market Harborough Market Hall by 9 am (arrive 8.30 am onwards). Departs Birmingham 6 pm. Looking forward to a fascinating evening with our guest speaker from Gildings, local auctioneers. Several members will be bringing in items for valuations, too, so some surprises may be on the agenda?! Bookings will also be taken for the Bridge 67 Cookery School social event on 22 September and the Christmas shopping trip/Jewellery Quarter Museum Trip to Birmingham on Saturday 19 November. So have some cash with you or your cheque book.